Originally published with Marcomm News. Centric DXB announced the appointment of Muhammad Adil as iOS Lead of the office in Pakistan. 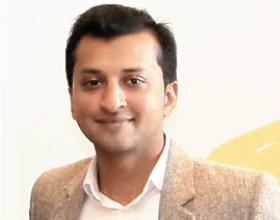 This marks the first top-level technical appointment made by Ahsan Khalid, the newly promoted Technical Director of Centric DXB since declaring his vision for the agency which focuses on bridging the gap between imagination and implementation, while ensures that the concepts developed by the creative department can fly within the technical parameters.